Oh man I knew it was coming, but that scene in the field with Anne and Ellie....I cried. Also Snorri! Snorri was so delightful. I was cracking up during the shoot out. Also: that moment where Owen is asking Annie how she knows Grimsson, and she says "he's my handler." I got the chills. Not only was it a tight callback, but it's a signal of the depth of the connection that Owen & Annie have formed, and also that Grimsson is about to function as an overall asset for Owen rather than a liability. 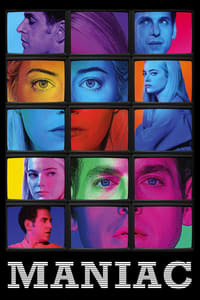 It also cemented my confidence that this wasn't going to end like some other shows that are easy analogues for their sheer open weirdness ( Lost or Twin Peaks ) but ultimately suffer somewhat for lack of a narrative anchor / skeleton. Den of Geek review - Maniac delivers a climax that it doesn't earn. Still, "Utangatta" is an exciting and cathartic episode of television all the same.